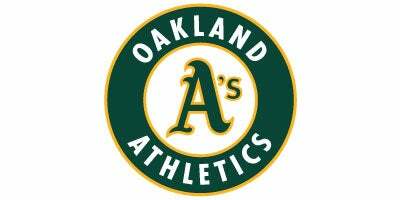 The essence of the original Oakland-Alameda County Coliseum wooed the Kansas City A’s franchise to Oakland and the first Oakland A’s game was played on April 17, 1968 vs. the Baltimore Orioles. 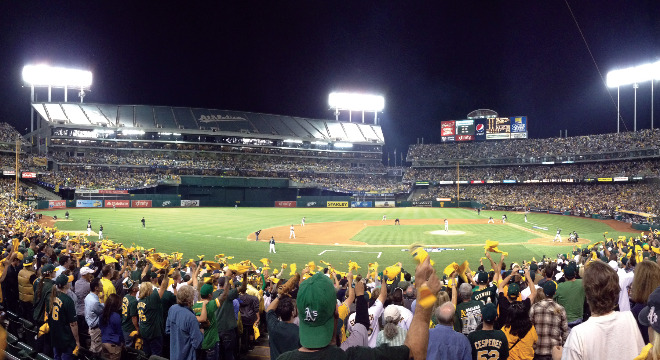 Oakland-Alameda County Coliseum is proud to be home to the Oakland Athletics of Major League Baseball. Purchase tickets by clicking the buy tickets link below or by clicking here. Click here to download a printable seating chart. Take a Virtual Tour by clicking here. Parking gates open 2.5 hours prior to game time. Guests with cars are entitled to only one parking stall per parking fee. A’s Parking collects the parking fee at the parking entrance gates, and directs traffic as necessary within the lots and along the access roads. Stadium gates open one and a half (1.5) hours prior to scheduled start of the game. Stadium gates open two (2) hours prior to scheduled start of the game. *Subject to change on selected dates. 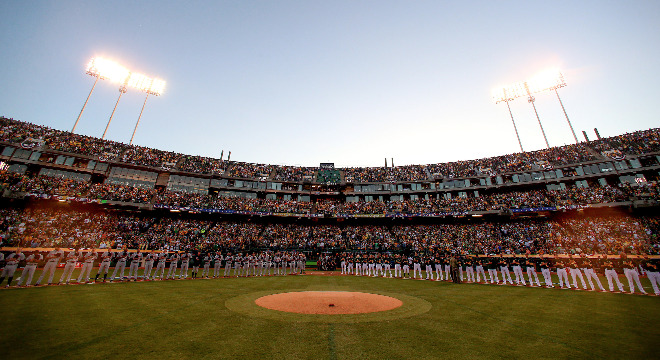 On large attendance games and special events, gates may open earlier to the public. 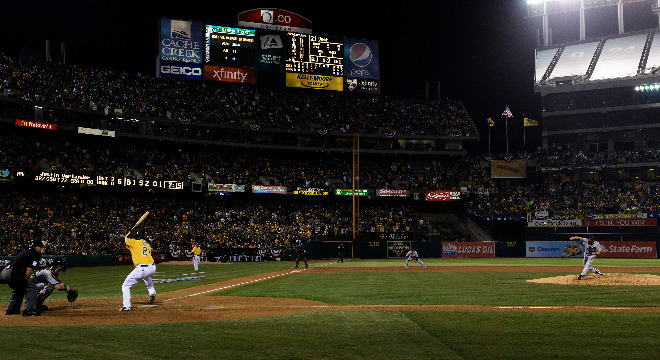 On Opening Night Oakland-Alameda County Coliseum will open 2 hours prior to game time. Additional games may be added or subtracted at a later date. 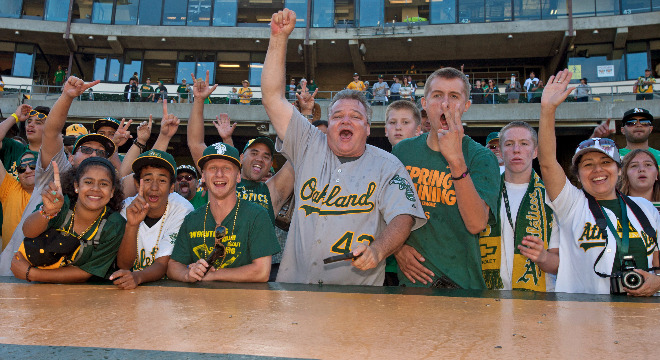 The A’s offer an array of suite experiences to fit your needs. 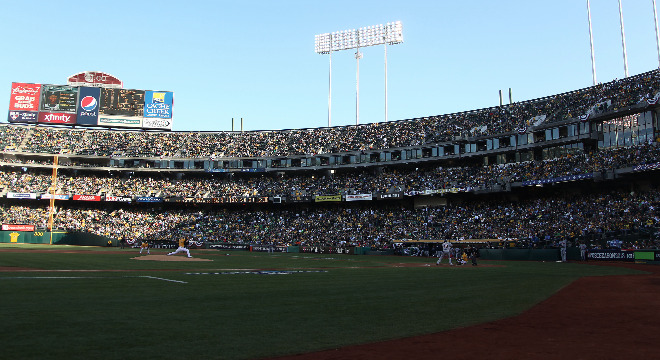 Whether it be a Mini Suites for as few as six people, a single game suite for entertaining clients, or our spacious Left Field Loft, the A’s have an option for you. As an added benefit, all of our suites come stocked with three copies of Athletics magazine. For more information, call (510) 638-GOA’s (4627) or email [email protected]. Lost and found items are held for a maximum of 30 days.